Section 1524 of the Federal Energy Policy Act of 2005 required that the state of Delaware declare amendments to the state underground storage tank rules to require each underground storage tank facility have Class A, Class B, and Class C operators. Class A or Class B operator candidates will need to pass a written exam in order to be certified. The exam assures that underground storage tank system operators possess the necessary knowledge regarding the proper operation of underground storage tank systems. A test is not required for the Class C operator, but those persons must be properly trained. 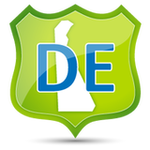 Delaware was granted state program approval (SPA) in 1996.